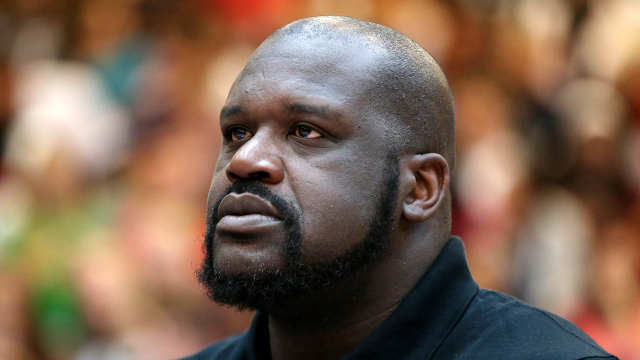 In a recent MSN article basketball great Shaquille O’Neal describes what he learned from his father about the money he was making as an NBA superstar: in a nutshell, he said that it won’t last forever and his dad was on him to do a good job saving and investing it. And Shaq has. Although he retired from basketball in 2011, his net worth today is estimated at over $400 million. Financial expert Chris Hogan was a college football star and he regularly works with pro athletes on money management. Think about it: you’re a young kid, 21-24 years old and you get signed to a contract where they pay you hundreds of thousands, maybe millions of dollars up front. Boom. Instant wealth. It would be wise to get some coaching on how to handle that sudden wealth. Chris tells football players “The NFL stands for Not For Long.” The average NFL career is less than four years. Four years! And then what do you do? Coach? Color Commentary on CBS? Good luck. You’ve spent your entire life training for this career opportunity…high school football star….gifted college athlete….scouted for the pros….then finally getting the call to go to The Show…and it’s over in just a couple of years. It’s easy for those of us who are not gifted pro athletes to say, “They got a million dollar signing bonus, it’s their own fault if they blew it and didn’t make it last.” True. You could say they made a million dollars in their short working career and hopefully didn’t squander it all. It’s easy to throw stones at other people’s houses, without looking at our own. How long is your working career? Probably 35, maybe 40 years. How much money will you earn during that time? Average household income today is about $55,000. Not an exact calculation, but multiply that by 35 and you get just shy of $2,000,000. That’s how much money is going to cross your palms during your working lifetime, give or take. Don’t like that number? Think I’m half wrong? It’s still a million bucks. And that’s average. What are you going to do with it? Squander it, like most pro athletes (and most people, by the way). Here’s a better idea. Make a plan for your money. It’s not hard. You just have to decide you are going to do it. Think about it this way – you are deciding, one way or another. You are deciding to live paycheck to paycheck, or you are deciding to make a plan for your future and to Do Better With Money. Decide today. Take charge of your finances.